Retrolisthesis describes an abnormal rearwards migration of one or more vertebral bones from their normal anatomical placement. Posterior listhesis is far less common than forward versions of atypical vertebral movement, commonly called anterolisthesis. In fact, when discussing spondylolisthesis, all cases are generally considered to be anterior unless otherwise specified. 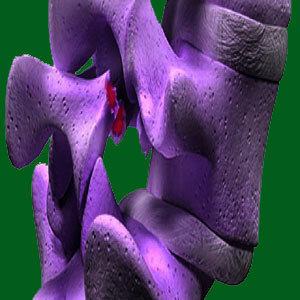 Retrospondylolisthesis is more common given particular locations and causative circumstances. However, compared to general anterospondylolisthesis, posterior vertebral migration remains even more enigmatic due to its relative rarity and special circumstances of onset. This short treatise explains the difference between retrospondylolisthesis and traditional anterolisthesis. We will also examine the potential causes of retro versions of listhesis contrasted against the more common antero variety. Traditional spondylolisthesis, also known as anterolisthesis, involves the forward migration of one or more vertebral bones. In contrast, retrospondylolisthesis describes the opposite direction of movement by one or more vertebrae towards the posterior of the anatomy. Retro versions of listhesis are rare and do not usually follow typical rules of causation. Retro versions of listhesis statistically do not pose any greater threat to the spinal anatomy and are also not any more likely to become symptomatic. Slightly fewer cases of retrospondylolisthesis are treated surgically, proportionate to anterolisthesis, which is more likely to result in spinal fusion. Extreme hyperlordosis conditions can dispose the vertebrae in the lowest levels of the lumbar region to move posteriorly when they tend to develop listhesis. Ironically, extreme lumbar hypolordosis scan also encourage retrospondylolisthesis, usually in the middle lumbar levels. Rare listhesis in the thoracic spine can dispose vertebral bones to migrate rearwards due to the kyphotic curvature of the region, particularly when these vertebral bones exist on the apex of the kyphotic curvature. Hypolordosis and cervical kyphosis conditions (reversal of typical lordotic curvature in the neck) can encourage cervical spondylolisthesis conditions to follow a retro pattern in some instances. Traumatic injury is very case-specific in causation and can certainly incite retrolisthesis when the direction of trauma is posteriorly focused. Some ligamentous and facet joint-enacted listhesis will tend to move posteriorly, since the anterior direction does not fall within the allowable range of motion due to case-specific factors. Some congenital defects can dispose patients towards retrolisthesis, due to abnormal form or function of specific spinal components or due to atypical vertebral shape or relative positioning. Spinal surgery can enact retrospondylolisthesis in rare instances due to highly case-specific reasons. Retrospondylolisthesis is not a usual expression of vertebral slippage, but can occur given the correct circumstances of causation. Retro versions of listhesis are uncommonly seen and should always be diagnosed, monitored and treated by a specialist, although this advice is universal for all cases of spondylolisthesis, as well. Treatment of retrospondylolisthesis mirrors traditional anterior profiles. However, surgical fusion using an anterior approach can be challenging in some instances and may require remodeling of one or more vertebral bones, or their components, in order to bring the migrated bone back into proper alignment. 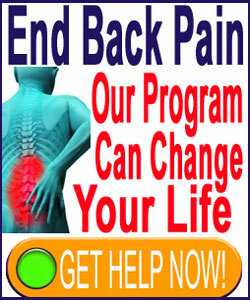 For more information on retrospondylolisthesis care, please consult with your physician.